Christmas is pure magic in Ireland. Imagine spending a completely stress-free festive season, pampered in the best country houses and castles of Ireland, tucked up by a roaring fire, or exploring the cultural and scenic treasures of the Emerald Isle. Experience an Irish Christmas with its welcoming warmth, and festive traditions, as well as the cozy comfort of the finest country houses and castles. 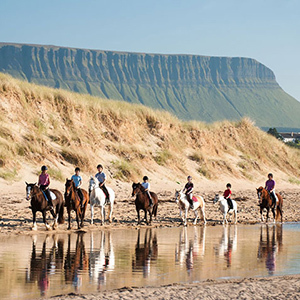 On this independent or privately chauffeured tour, you will have the opportunity to rest, feast and explore from the festive vibrancy of Dublin, to the peaceful beauty of rural Ireland, to the sheer luxury of five star accommodation and gourmet cuisine, you will be sure to celebrate a special and unforgettable Christmas. 8-Nights Luxury hotel, Manor House & Castle accommodations with full breakfast daily. Self-Drive rental vehicle with unlimited mileage and CDW insurance. Or, upgrade to the services of a Professional Driver Guide – to include all driver expenses. Enjoy a Private Car transfer to your centrally located Dublin City hotel. Relax after your journey. Afterwards why not take a horse and carriage ride through some of Dublin’s historic Georgian Squares or you can walk through the Temple Bar area, which is fast becoming Dublin’s Left Bank. Immerse yourself in the festive atmosphere at St. Stephen’s Green Christmas Market featuring fine crafts, food, and Carol singing. Partake in a pint of Guinness at the Guinness Brewery. 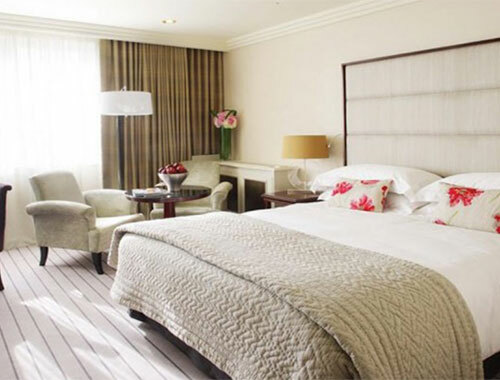 Embrace the Christmas atmosphere in Dublin city while you stay in The Westbury Hotel for 2-nights. 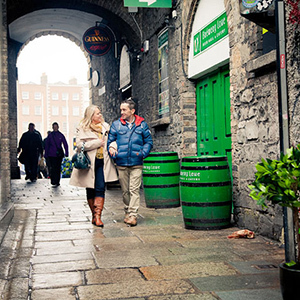 Today you have more opportunities to explore Dublin City. 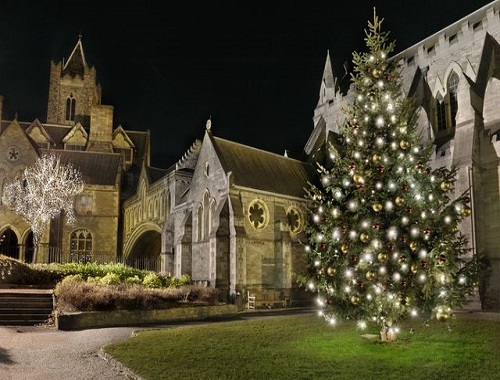 Highlights include Trinity College and Dublin Castle’s Christmas Market. Stroll down Grafton Street, Dublin’s premier shopping area, and look at the Christmas decorations. 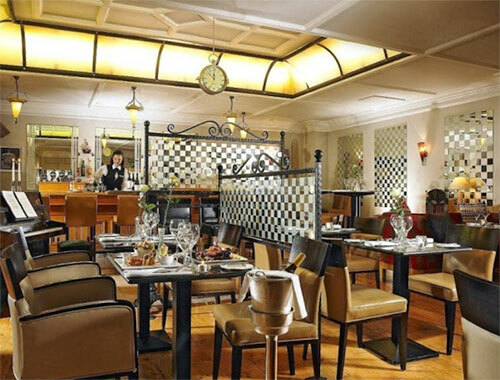 Warm up with a hot chocolate in Butler’s Irish Chocolate Café, and savor lunch in Davy Byrne’s Gastro Pub. The sparkling lights and the sound of caroling in the air on Grafton Street will be sure to put you in the festive mood. Tonight, maybe you would enjoy a Christmas concert at the National Concert Hall, or a show at the famed Gate Theatre? This Christmas Eve morning meet your Driver Guide or pick up your rental vehicle. Depart Dublin and visit Kilkenny, Ireland’s finest example of a medieval town, and beautifully situated on the River Nore, which forms the moat of Kilkenny’s restored castle. Tour the castle and explore the town. 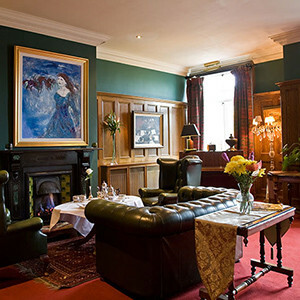 Continue on to County Cork where you will stay 2-nights over Christmas in the five star luxury of Hayfield Manor. Let the festive ambience of this beautiful manor house envelop you upon your arrival. As you sip warmed mulled wine, and savor a mince pie, listen to Christmas carols sung by the local choir. Merry Christmas! Christmas Day begins with Hayfield Manor’s famous Irish breakfast. Afterwards relax in your luxury bedroom or a cosy corner by the fire in one of the resident’s lounges. The highlight of the day is the Traditional Christmas Lunch, a gourmet spectacle prepared by Hayfield Manor’s head chef, and preceded by a champagne toast. Indulge in your most magical and memorable Christmas experience at Hayfield Manor. Depart Cork City and visit the picturesque fishing town of Kinsale, Ireland’s cuisine capital. 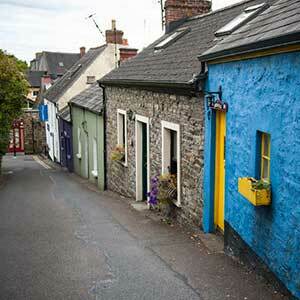 Let yourself be captivated by Kinsale’s long waterfront, narrow streets, and slate-clad houses. This afternoon continue west to Killarney. Enjoy touring the stunning Gap of Dunloe, and discover the beauty of the National Park. 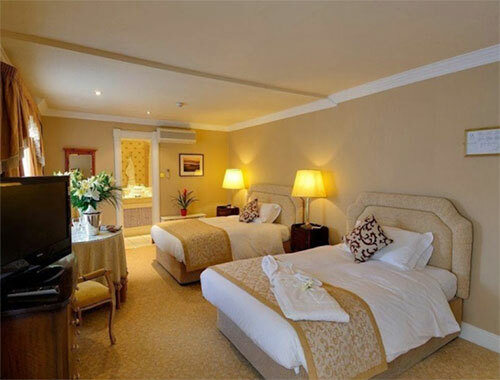 Enjoy a 2-night stay at the Killarney Royal Hotel. Tour the Dingle Peninsula today. As you experience some of Ireland’s most spectacular coastal scenery it is no surprise to learn that National Geographic once declared the Dingle Peninsula “the most beautiful place on earth”. The colorful town of Dingle is well known for fishing, hiking, sailing, lively pubs, restaurants, and a traditional music scene. From the Connor Pass to Slea Head, the peninsula’s magnificent coastal scenery and rugged terrain is a photographer’s dream. Enjoy a delicious dinner in a local pub, with a pint of Guinness and some traditional Irish music. Drive north through the villages of Adare and Limerick, stop for lunch and take a tour of King John’s Castle. Continue on to discover Bunratty Castle and its Folk Park. 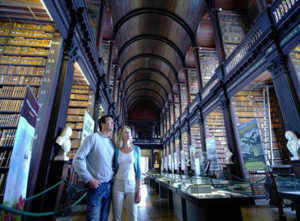 Let yourself be charmed as you visit its farmhouses and cottages, and learn about the lifestyle of Irish rural families. Watch the baking of griddle bread next to the fire, and taste it hot with fresh creamery butter. This evening you will arrive at the magnificent 5-star Dromoland Castle in County Clare to enjoy a luxurious 2-night stay. Today, experience the majestic beauty of the Cliffs of Moher. Soaring 700 feet above the Atlantic Ocean, the cliffs will literally take your breath away. Continue into County Clare to explore the barren limestone landscape known as the Burren, featuring unique flora and fauna and Stone Age Druidic altars. This afternoon, enjoy some time at leisure on the castle estate. Set on 450 acres of parkland, deer, pheasant and other wildlife roam the grounds. The Castle overlooks Lough Dromoland, perfect for trout fishing. Other activities at the castle, include falconry, archery, boating, clay pigeon shooting, tennis, walking, mountain biking and golf. If you prefer to stay inside the sixteenth century castle walls, there is a luxurious spa, providing a haven of tranquillity. End your luxury trip with a Private Transfer to Shannon Airport to prepare for your return flight home. Slan abhaile! 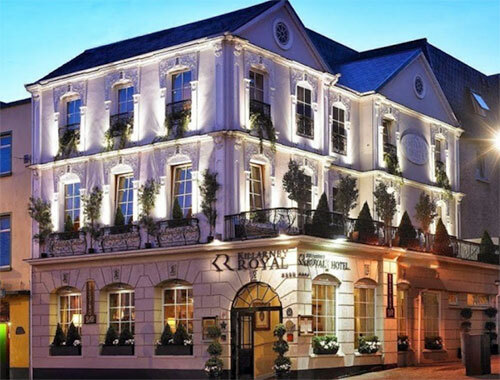 Kerry the ‘Kingdom’ is calling, and deep in her heart lies Killarney Town and our own little welcoming haven, the Killarney Royal Hotel. It has been our privilege to welcome a century of travelers from around the world to our doorstep. 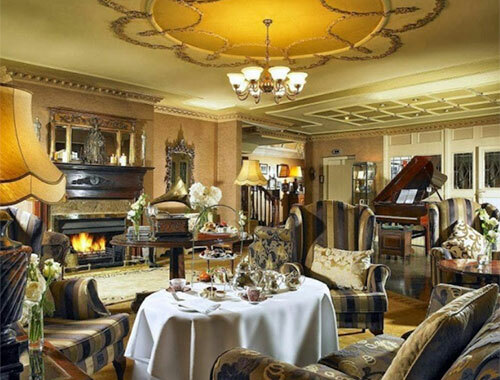 Offering a warm and cozy respite our boutique 4 star hotel, awarded IGTOA Boutique Hotel of the Year 2012, and is centrally located in the heart of Killarney Town, with all the majestic beauty of Killarney and Kerry outside our door. 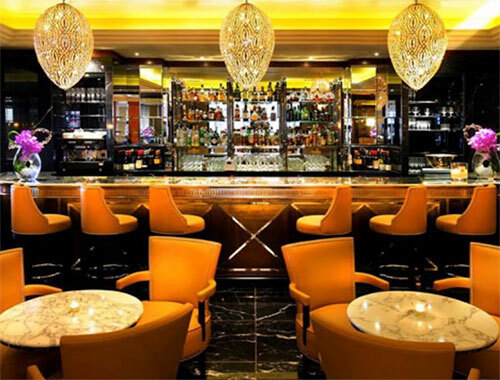 One of the Leading Hotels of the World, The Westbury Hotel is renowned worldwide when it comes to luxury Dublin city hotels. 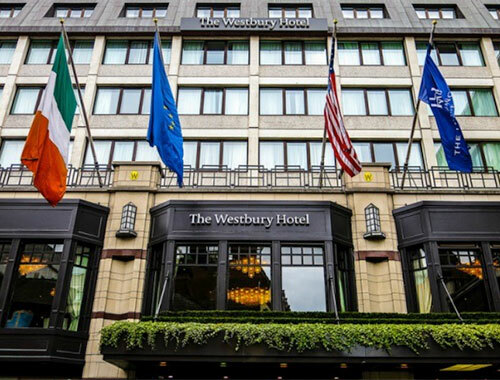 Simply no other Dublin City hotel connects you with Dublin in the way that The Westbury Hotel does. Relax in the magnificent setting of The Gallery, where you'll have a street side view of the real-life city playing out right before your eyes. 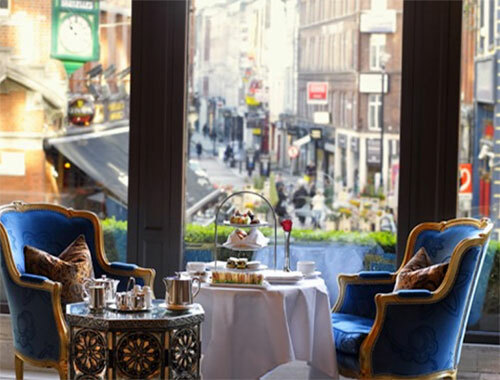 Its unbeatable location just off Dublin's Grafton Street, half-way between historic Trinity College and the landmark that is Stephen's Green puts The Westbury Hotel at the very heart of Dublin's premier retail and cultural quarter. 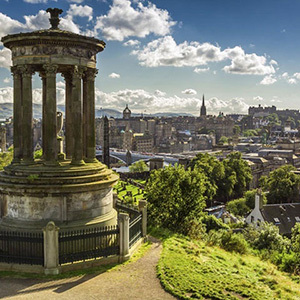 Great shopping, atmospheric pubs& restaurants, and excellent theatres & nightlife are literally on your doorstep. 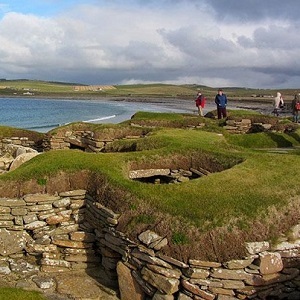 Mysteries of Orkney 2018 Dates Coming Soon!